[Written by Larry Burchall] Belco has been pumping out ‘leckalight since 1907, so it has been through lots of economic twists and turns. Despite that, every time we hit a switch the ‘leckalight comes through proving that Belco is still doing what it does best. Create and distribute ‘leckalight. Belco’s announcement of a pay and rates freeze and its warning of possible redundancies is clear proof that this one hundred and six year-old Bermudian run company is concerned, deeply concerned, about the immediate future. Since Belco is Bermuda’s monopoly supplier of ‘leckalight, and since every business and resident and visitor in one way or another, is a Belco client; Belco is uniquely and specially placed to both see and feel the effects of any changes in Bermuda’s national economy or general economic activity. Economy grows. ‘Leckalight sales grow. Economy flattens. Sales flatten. Economy shrinks. Sales shrink. There is a direct relationship. In 2009, ‘leckalight sales flattened. Belco felt that and reported it to its shareholders. From 2008 to 2009, sales of ‘leckalight went up only 1.72 percent. For the first half of 2010, Belco is reporting that ‘leckalight sales went down 4.54 percent to large commercial customers, and helped cause a 4.04 drop in kWh revenue. Translation? Flat sales in 2009 and lower sales – so far – in 2010. Action? 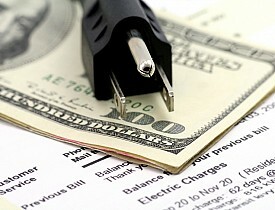 Cut costs and be prepared for another or a further reduction in kWh sales. With the business wisdom accumulated through 106 years of business existence, Belco moved to protect its best interests, which, incidentally, encompasses the longterm best interests of its shareholders as well as its employees – both of whom also happen to be Belco’s ‘leckalight buying clients. Wage and salary freezes protect Belco, Belco’s shareholders, and Belco’s employees. But as a monopoly whose actions can, like Government, also affect its market or client base; Belco has also held back on price and rate increases. That makes complete sense. It also demonstrates, in part, the sagacity built up through 106 years of existence and survival as a national business. Belco’s action also directly supports the warning that – for several months – I have been giving about the need for Government cutbacks in Bermuda’s shrinking economy, as well as the need to restore a much better balance between government revenue and government spending. Belco has just announced the action that, as of 1st January 2011, it will take to restore a balance between what it thinks it might earn and what it knows it will have to pay out. So Belco is, as far as is possible, controlling its payout. The Chamber of Commerce has expressed its concern about the need for Government to get a better balance between government revenue and government spending. The Chamber has also suggested several solutions. I, also, have suggested solutions. Government must get International Business to re-expand its Bermuda footprint. Government must get national income from Tourism back up above $500,000,000 a year. Government must correct its own spending. Re-expanding IB means that Government must act, and act immediately, to stem the steady and silent dribbling increase of outsourcing and off-shoring, and consequent reduction of IB’s Bermuda footprint that is currently happening. Government must re-create and then maintain the conditions that attracted IB to Bermuda as a good base from which to conduct their business. Like Belco’s action, this must happen now. Government must act to re-grow Air Arrivals and get Air Arrivals back up above the 350,000 level. That means getting in an additional 100,000 Air Arrivals as soon as possible. With such an Air Arrivals increase, national income from Tourism should go well above its current anaemic level of about $375,000,000 (for 2010) and the pit bottom level of $331,000,000 of 2009. And, like the Belco actions, as recommended by the Chamber of Commerce, government must bring its own spending into line with its reducing – that is not rising – revenue. There are, of course, those who will disagree. These divide themselves into three self-selected groups. Fools. Idiots. Ostriches. There are plenty who disagree with Larry. Reality will catch up with them sooner or later. A job with frozen pay & a shorter work week is better than no job at all. Everywhere, except Government costs are contracting.